The final night of group stage action in the Champions League saw a star-studded scoresheet at the Nou Camp, Manchester City make it to the knockouts while Chelsea and Ajax destroyed their respective opponents. A twelfth night of group action in the Premier League was one to remember. Manchester City put their qualification doubts to rest as they triumphed in Rome thanks to a piledriver from Samir Nasri and a late addition by Pablo Zabaleta. Manuel Pellegrini's men set off to put a statement of intent, with high pressing in the first half but were unable to find the breakthrough. Samir Nasri spectacularly gave the Citizens a boost as they took the lead after an hour of football. The Frenchman was in possession outside the area, before arrowing a shot that clipped the post and flew in, sparking euphoric celebrations from the visitors and travelling fans. Pablo Zabaleta rifled in towards the late stages of the game as the returning David Silva held the ball up before the Argentine surged in to tuck it away into the bottom left corner. By the full-time whistle, cheers erupted from the away supporters and they had made it. Breakdown: Patience was everything in this game. We didn't get that impression from the way they set out, but an eventually relaxed approach and waiting for the chances to come would catch Roma. Samir Nasri's piledriver was uplifting for the whole club and gave them something to hold on to, meanwhile crumbled belief of the Italians. Surging form is re-iterated by keeping on until the late stages as Zabaleta made a typical, cutting-edge run to meet the ball. A marvellous success story of their revival. Man City will benefit hugely from the return of David Silva, the magician was fitting into his role instantaneously. Goals on either side of the half-time break saw Bayern Munich ease past Moscow as they took momentum into the knockout stages. Bayern Munich were awarded a penalty in the 18th minute after Franck Ribery was cleanly caught by Bebras Natcho. Thomas Müller stepped up to the spot with Igor Akinfeev diving the wrong way as the Russians had a mountain to climb in Munich. Sebastian Rode headed into a gaping goal at ease to secure the victory, after Schweinsteiger's ball was a perfect set up. 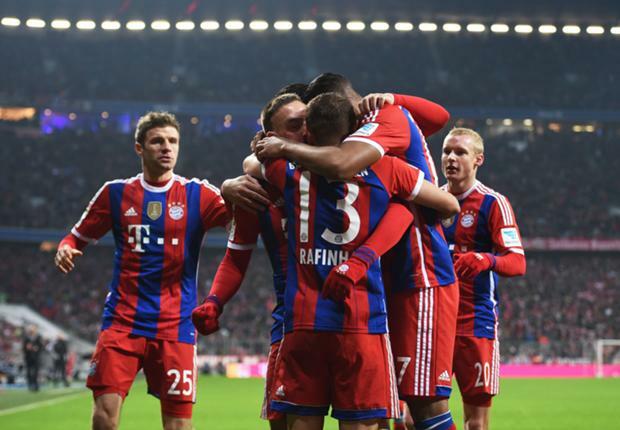 CSKA Moscow were phased out, exhausted and Bayern marched on. Mario Gotze added a late goal in the 90th minute. Breakdown: Bayern Munich's experiment worked to an extent against CSKA. Playing Ribery in False 9 brought the best out of the Frenchman, but the plaudits can be fragmented by the slow-burner at the start. 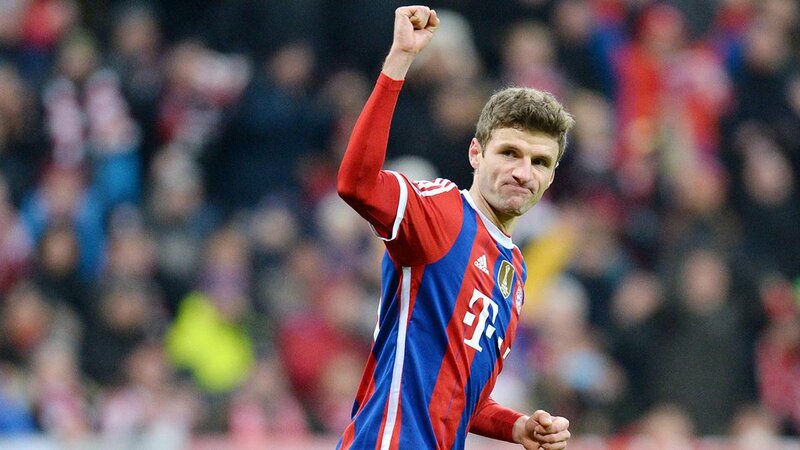 Muller's penalty was a given, there's no chance he'll miss those. Ibrahimovic, Messi, Neymar and Suarez featured on a star-studded scoresheet as Barcelona avenged their earlier loss by outclassing Paris on the northeast coast of the Iberian Peninsula. Zlatan Ibrahimovic marked his return to the Nou Camp with a solid strike to put the Parisiens up top. Blaise Matuidi held up a ball well from the right wing, feeding it to the awaiting Zlatan who fired past Ter Stegen for the opener. Lionel Messi netted his 75th Champions League goal merely minutes later as the Catalans preyed on some lacklustre French defending. Luis Suarez managed to latch onto Mascherano's searching ball, just keeping it on and finding Messi who slid the ball in. With both sides continuing to search high and low for a breakthrough, some late first-half magic by Neymar would hurl Barcelona into the lead. Space opened up for the Brazilian skipper as he charged through outside the area, before letting fly with a sublime curling effort dipping past Sirigu. Adding to the star-studded scoresheet was Luis Suarez. Xavi, the captain subbed on, held the ball up outside the area, before dishing it out to Neymar who looked to angle in, but it was parried out by Sirigu. 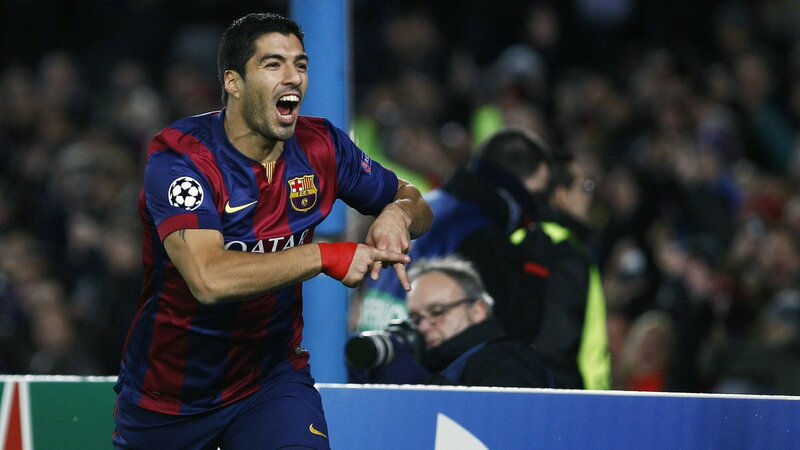 It fell into the path of Luis Suarez who smashed home for his second Barcelona goal. Paris Saint-Germain were beaten as Barcelona made their way to a huge victory. Breakdown: It's another cracking game between these two. Massive credit for the output provided considering they had already qualified. This time round it was Barcelona who were much more clinical and there were so many spaces at the back from the French in the game, a poor set up provided many chances for Barcelona to have a go. Suarez, Messi and Neymar scoring well-worked goals could ultimately be an exciting prelude for the future of the club. They ripped apart the Parisien defence. 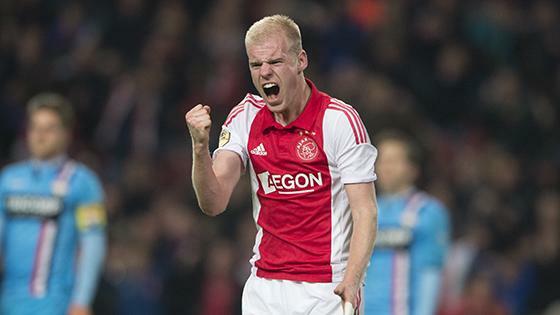 Ajax steam-rolled past a broken Apoel Nicosia to end their Champions League run on a huge high. In the last minute of normal time to the first phase, Lasse Schöne found the breakthrough to end the tepid 45 minutes. The Dane bursted into the box from the left to initiate things, transferring the ball to Milik who was taken down. Schone stepped up to the penalty and powerfully arrowed into the bottom left corner, with the keeper diving the same way but unable to keep it out. Schone again found success on the other side of half-time. He initiated a fierce counter attack, taking the ball into the final third before playing in to Milik. The shot was blocked, but it fell out to Schone who bagged a second and the Cyprus side were down and pretty much out. Now vulnerable and reeling, Davy Klaassen made it 3-0. Ricardo Kishna sped past the watchful Nicosia defenders, dazed, before finding Klaassen who headed down into goal to take the game completely away. After heaps of involvement in the recent goals, Arkadiusz Milik finally got one for his own collection. Klaassen intricately placed the ball through to Milik who placed it easily under the keeper to add a few exclamation marks to a dominant Ajax performance. Breakdown: This Ajax, despite the team they were playing against, would've given the Group F heavyweights a run for their money. Schone was so eager to run the ball forward and the Cyprus team had no response. Link-up play with Milik was vital in opening up the chances and when they did come, not only were they ready to pounce but the Nicosia defence did not provide substantial resistance. Chelsea breezed past Sporting Lisbon to continue their rampant form against a Lisbon side who finished the match eliminated. Cesc Fabregas calmly converted the opener after Filipe Luis was hacked down in the area. Ricardo Esagio was initially beaten by the Brazilian full-back before taking him to ground. Cesc Fabregas kept perfect composure to send the keeper the other way and guide it into the face of goal. 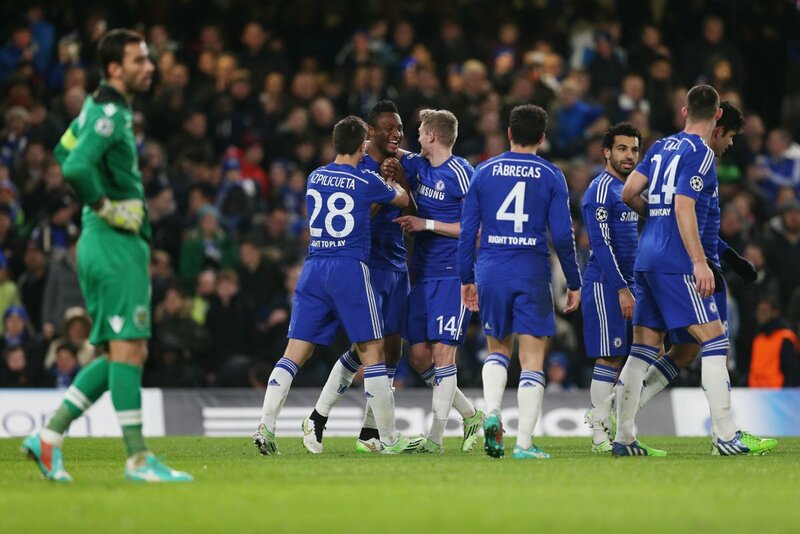 A fine strike from Andre Schurrle made it two goals to the good for Mourinho's men. With the Portugese side beginning to back off, Schurrle found a pocket of space to strike the ball low and hard as the lead was doubled. Adrien Silva gave Lisbon some hope when Andre Carrillo found space on the right to cross the ball in. Slimani got a head to it, but the ball would eventually trickle out to Silva, who evaded defenders to smash it far into the left corner. John Obi Mikel however restored order in the easiest of manners, as Cesc Fabregas pinpointed the Nigerian for a simplistic tap-in—for his first Champions League goal—to put the game on cruise control for the Blues. Breakdown: Cesc Fabregas is one of the finest midfielders in the continent and provided a definitive explanation with his performance against the Portugese. He pulled the strings and created the chances while also perfectly converting the penalty kick. Andre Schurrle is unstoppable when he gets on his stride down the left. You would have expected Sporting to pack much more belief after the goal, but allowing Mikel to score lead to the undoing of all that work. Stadion Ljudski vrt, Maribor, Slovenia. Schalke scraped into the knockout stages of the UEFA Champions League as Max Meyer's goal off the bench was enough for three points in Slovenia. Schalke's magnificent away fans packed the stands and produced a searing force to back the visitors. Subsequently, the Slovenians responded with a raucous ovation of their own—the stadium was rocking, immersed in pure passion. Filipovic and Tavares saw Maribor come ever so close, but determined blocks by Uchida kept them at bay. Schalke came close to being undone had it not been for a courageous defending showpiece. Max Meyer provided lift-off for the Germans as he guided in for a pivotal goal. Handanovic tried to get rid of a cross, but it fell to the youngster and he made no errors in placing it into the back of the net. Breakdown: It was one of those games formatted to hinge on one goal. It was coming for Schalke, and when it did through Meyer, it sucked everything out of the contest. Stadium: Estádio do Dragão, Porto, Lisbon. Vincent Aboubakar's late strike salvaged a point for Porto in Lisbon. Olexandr Gladkiy failed to get a touch on a ball from the left-flank that scraped the face of goal. Sliding in, he couldn't get anything on the tempting ball and Porto were given a major let-off. Porto's activity continued to increase over the first half. Ricardo Quaresma, creating most of the troubles early on, saw his effort thwarted by Pyatov, who then went on to stop Adrian Lopez's attempt right after. Taras Stepanenko thumped the visitors ahead as they looked to take the game early pouncing in the second half. Bernard's corner was headed well by the Ukranian as Shakhtar finally found their feet in the game. They continued to hold on to the win, but it would prove an impossible task to sustain it to the full-time whistle. Vincent Aboubakar found the breakthrough just as Donetsk began to dream about the victory. A long range ball was perfectly locked on before unleashing an unstoppable hit that blasted into goal. Breakdown: Shakhtar didn't have the dynamic they needed. The one goal came at an opportunistic time but being caught in limbo with indecision to make the vital moves allowed the opening. Estadio de San Mamés, Bilbao, Spain. 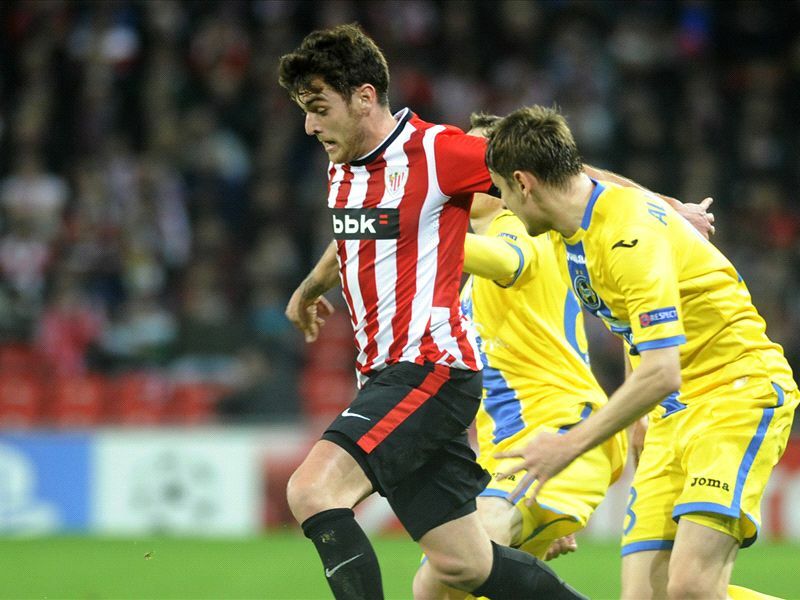 Bate Borisov finished with the worst goal difference in Champions League history as Bilbao fired two past them in Spain. Iturraspe and Guillermo were at fault for Bilbao not taking the lead in the opening half. A plethora of chances tumbled throughout yet when it came down to two headers, both were missed and it remained goalless at the interval. San Jose finally lifted the efforts just minutes into the second half. He met Susaeta's corner to meet the corner and sweep it past the Borisov goal, a fine finish. Susaeta's late goal, tapping in from Vigeura's cross finished the game off. Breakdown: Athletic Bilbao performed a little too late within the campaign. Eventually it finished with them waltzing past a vulnerable Borisov. That's the curtain call for the Champions League group stage. Once again it delivers. Onto the knockouts where business really picks up. Complete roundup from the last night of group games in the Champions League on Wednesday 10 December 2014.